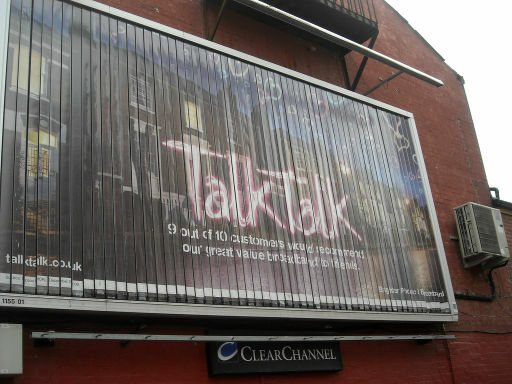 I am a TalkTalk customer, or at least I was until the 23rd July this year. I went to use the phone as normal and there was no dial tone, the line was completely dead? "Errm... OK" I thought, so I rang TalkTalk using my mobile phone to report the fault. Bad move, because it took 45 minutes to get through to someone and even then they could barely speak a word of English. I was told it wasn't a fault and my line had been cut off. I asked customer services why. The customer services advisor was as confused as me as to why my line had been cut off. All my payments were on time and my account was up-to-date. He asked if I had recently moved house or signed up to another provider etc., to which I replied "no". The advisor then said that the account looked like it had been taken over by BT and suggested that I take this up with them. So in total confusion I rang BT and explained my ordeal. They told me to speak to BT wholesale to see why they have taken over my telephone line. They then said I couldn't ring them because I am a residential customer and need to report the fault to TalkTalk and get them to contact wholesale... Well that was enough of that for one day! The next day I rang back TalkTalk and this time it took one hour to get through to a customer service advisor. I went through the same inconvenient set of questions he must have read from a script and I responded with the same answers as before. I was told they would call be back within 24 hours. Of course they didn't so I rang them again and went through the whole charade again! I rang them five days consecutively with the same questions. And then the inevitable happed...I cracked.. "where the bloody hell is the manager, I want to speak to him NOW!!!" They told me I couldn't speak a head office manager and that I could only contact them by post due to be being a residential customer. I said" How amazing, a telecommunication company that doesn't have a telephone in their head office. Thank God they have a post box.. I JUST WANT MY LINE ON now... It has cost my £25.00 in calling you so far with no one telling me what the hell has happened". The response I got from that was silence, and then the TalkTalk customer service advisor said he would send me an email to why this has happened and we will get your line back on as soon as possible. I replied ""How the flaming heck do you think I'm going to read an email... link myself directly to the local exchange via brain waves, I'm not from the Matrix you know!" So that was that for another day! You can probably see my frustration here. I've recently tried to sign up to SKY broadband and telephone, however, I have actually discovered my line has been completed deleted and I'll need to go back to the post office and obtain another number to start again. By the way, TalkTalk have still not called me back and obviously no email... I am at a complete loss to what has happened and have had no apology from TalkTalk. Can Talk Talk customer service get any worse?